Tejas: India’s fastest train, which is capable of running at a speed of 200 kms/hour, will soon be plying the Mumbai –Goa route. The train will run five days a week, and three days a week during the monsoons. 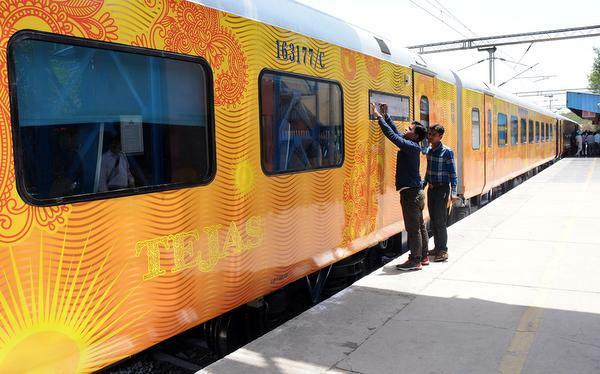 Touted as an airplane moving on tracks, Tejas Express is equipped with hi-tech facilities including WiFi, on-board entertainment, CCTV cameras, GPS based passenger information system, bio vacuum toilets and tea and coffee vending machines, among other amenities. 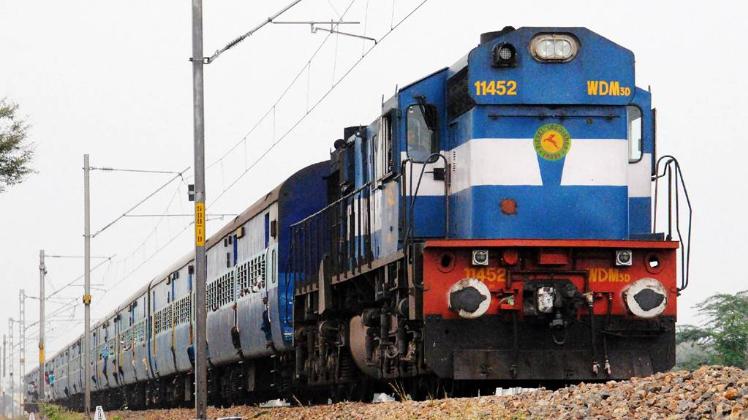 The Railways plans to launch the train on Delhi-Chandigarh and Delhi-Lucknow routes as well. WiFi facilities: As part of the Digital India initiative, the Indian Railways has launched free WiFi facilities at 28 stations on the Konkan Railways route. 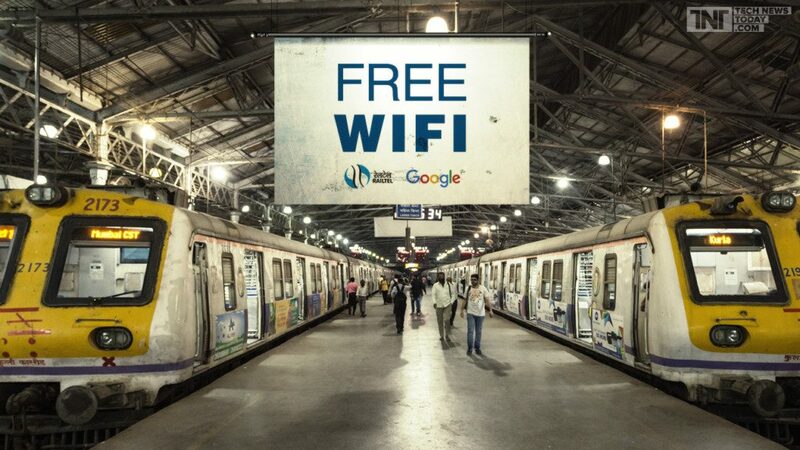 RailTel, a Miniratna enterprise of the Government, focusing on providing broadband and VPN services, in collaboration with Google, aims at providing free WiFi services at 400 stations by 2018. Currently, 100 stations across the country provide free WiFi facilities. Uniforms for railway staff: The makeover of the Railways will extend to its 13 lakh odd employees as well, with the staff soon set to sport stylish uniforms designed by Ritu Beri. This is directed towards instilling a means of pride in the profession. 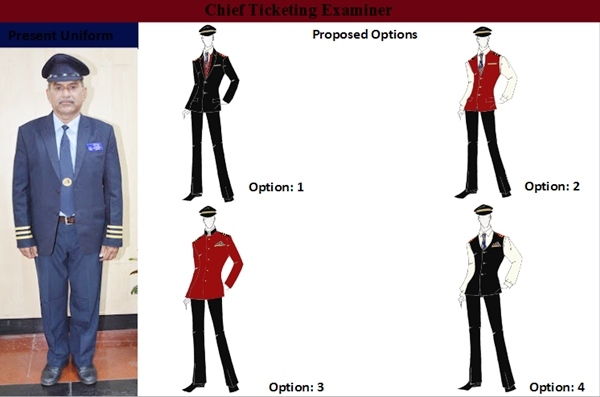 Beri gave a choice of four uniforms to the Indian railways, and in September last year, it conducted a nationwide Facebook poll asking passengers to pick uniforms that they felt would best suit the staff. The design titled ‘Vibrant Soul of India’ received the most number of votes. Redevelopment of stations: Taking the Public-Private Partnership route, the Indian Railways plans to redevelop 400 stations across the country to provide modern and world class passenger facilities, in the next few years. These stations will be at metros, major cities, pilgrimage spots and important tourist centres. Bidding for the development of 25 of the country’s most important stations will soon begin. The government has approached private players in India, and foreign players from France, Japan and Malaysia as well, for the redevelopment. 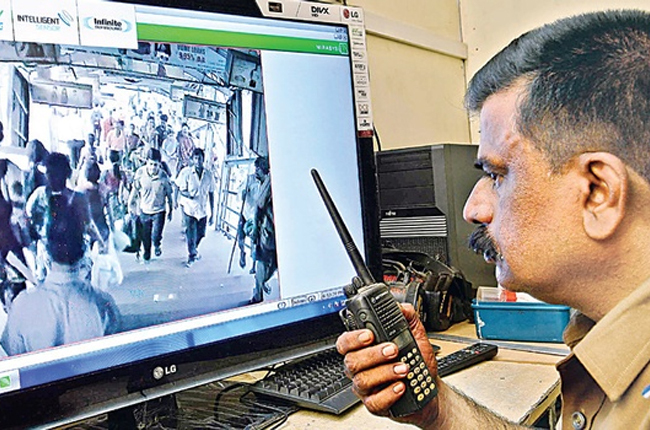 CCTV surveillance: Utilising the Nirbhaya Funds, the Indian Railways will be installing CCTV surveillance systems at more than 900 stations across the country. CCTV cameras will be installed in platforms and waiting areas, with control rooms set up so that the RPF personnel can monitor activities. There are around 8,000 stations across the country, with 344 stations already covered by CCTV cameras. Plans are also on to install cameras in important trains such as the Shatabdi, the Tejas Express and the Hamsafar Express. 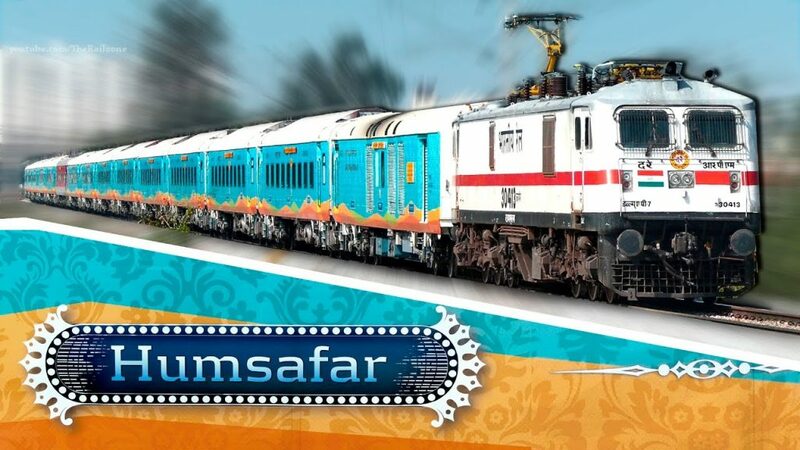 Humsafar Express: This is the new, completely 3-tier AC train launched by the Indian Railways, which will run between major stations. 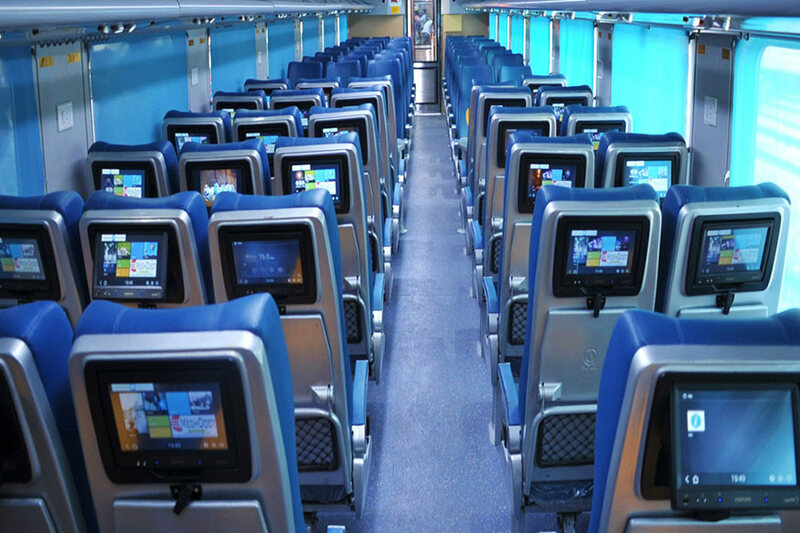 The coaches are equipped with modern facilitates such as LED screens which display information about stations, train speed, etc, vending machines which provide tea and coffee, smoke alarms and CCTV cameras, refrigeration boxes and heating chambers to heat food, charging ports for electronic devices, bio toilets in compartments, side curtains and khadi bedrolls. 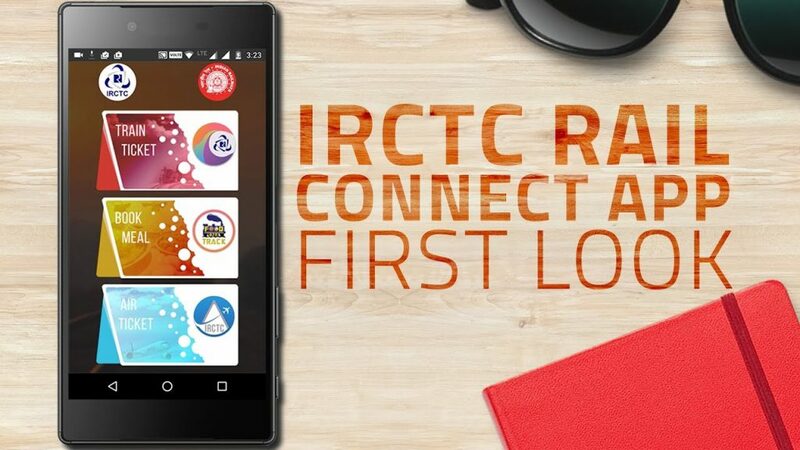 IRCTC Rail Connect: The Android based mobile App replaces the older IRCTC Connect app to facilitate easy and faster booking of train tickets. It has features such as 24/7 service without timings, a much faster tatkal booking process (50 seconds), and is also synchronised with the ticketing website. The app also retains passenger details for recently booked tickets so that they don’t have to be entered again. The Railways is also planning to launch HindRail, which will work as an inquiry system and will provide information on arrivals, departures, cancellations, berth availability, platform numbers, etc. It will also allow users to book porters, taxis retiring rooms and hotels. Audio and video based entertainment systems: The Indian Railways is planning to provide entertainment services through audio (P.A system) and video (personal devices) on trains and on platforms, through which it will showcase content such as movies, shows and educational programmes. This will be done in both the paid and unpaid forms, and will be a non-fare revenue generation source for the Railways. It is hoping to earn more than Rs 6,000 crores by the end of a 10 year contract period. 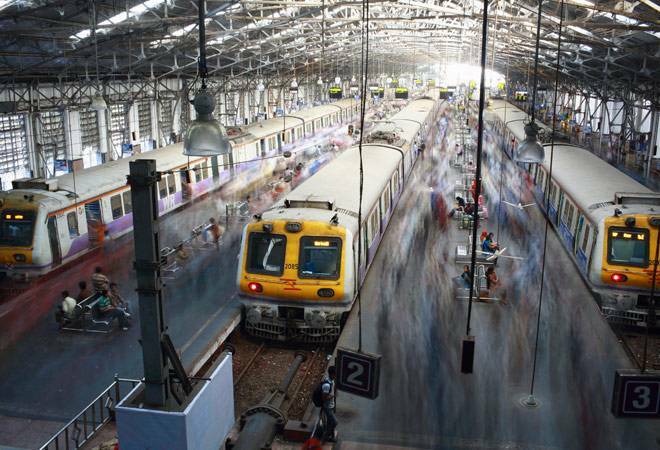 Better connectivity to North East: The Railways is executing projects worth Rs 90,000 crores for the development of passenger services and connectivity in the North East. 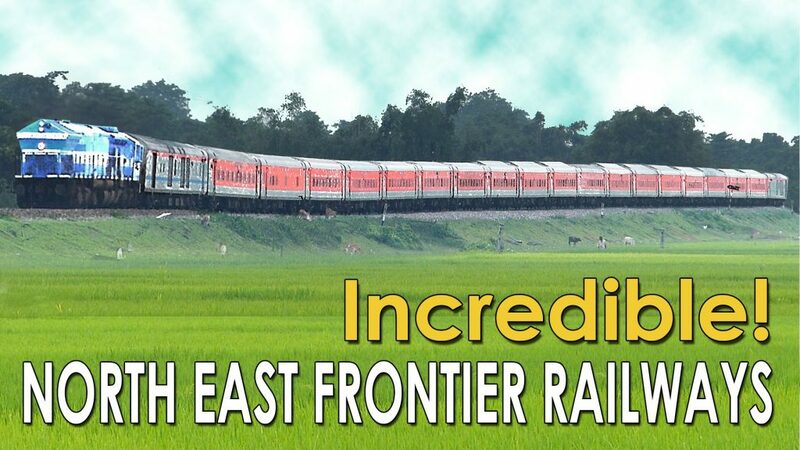 A 26 km long broad gauge railway line is being constructed from Mukongselek in Assam to Pasighat in Arunachal Pradesh. 29 new trains have already been introduced in the NE region and plans are on to introduce tourist trains in the region to improve tourism. 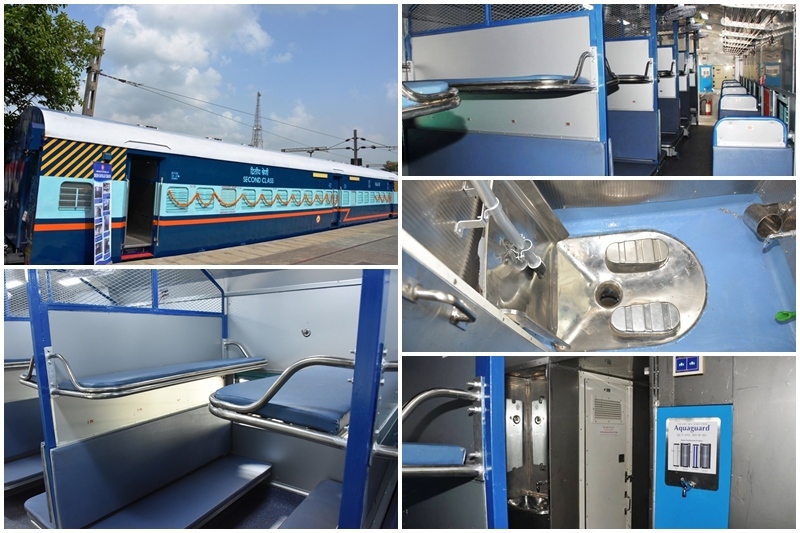 Coaches equipped with modern facilities: Around 5,000 AC and non Ac coaches will be built which will be equipped with modern facilities such as automatic doors, forced ventilation system, bio toilets, regenerative braking system, along with better interior design. For this, the Indian Railways is inviting bids from players, worth over Rs 20,000 crores. Vistadome coach: The picturesque Araku Valley is all set to be served by India’s first Vistadome coach with glass ceiling, LED lights, a large observation window at the lounge, 360 degree rotatable seats for better viewing, electronically operated automatic sliding doors ceramic tiled toilets, a mini pantry and service station, a wide side door for entry of physically challenged passengers. 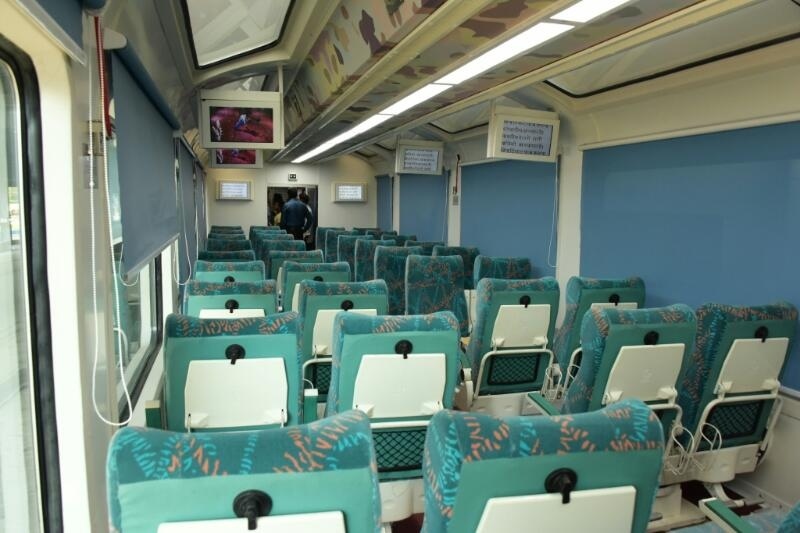 The 40 seater coach has been manufactured at a cost of Rs 3.38 crores, and plans are on to launch similar coaches, which will be attached to trains in the Jammu and Kashmir valley and the North East. 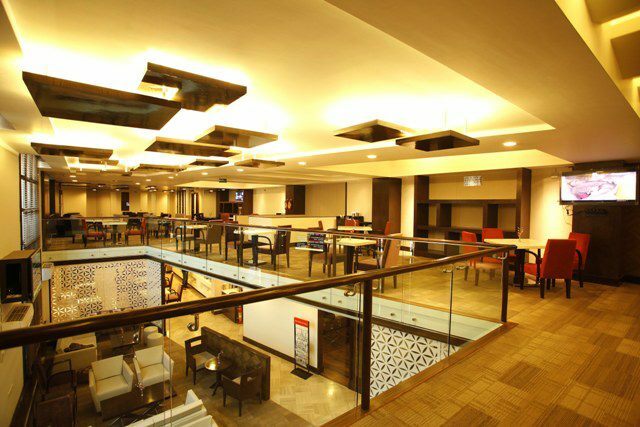 Executive lounges at railway stations: The New Delhi Railway Station already has a plush and revamped executive lounge, equipped with a massage centre, 5D movie theatre, business centre, recliners, complimentary drinks and buffet, and a spa and health centre. 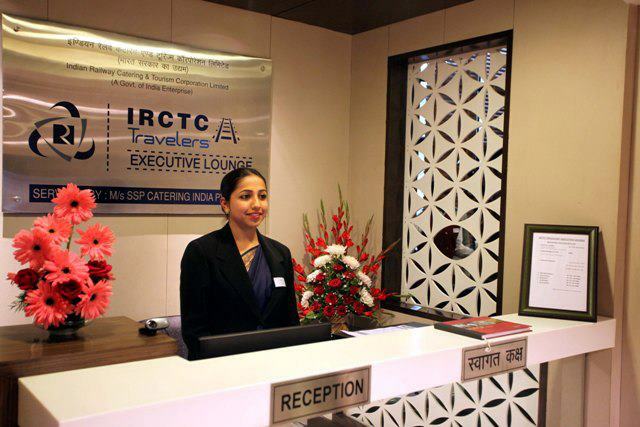 The Indian Railway Catering and Tourism Corporation (IRCTC) is planning to launch 50 such executive lounges at various railways stations across the country. Corporate mode of functioning: The Railways is looking to move towards a more corporate mode of functioning by doing away with its social sector subsidies of about Rs 30,000 crore each year. Currently the Indian Railways recovers only 57 percent on the cost of passenger services. According to Suresh Prabhu, Minister of Railways, social subsidies should be borne by concerned ministries. Energy efficient options: Being one of the largest consumers of energy, the Indian Railways is looking to explore more cost effective and energy efficient options to ensure least impact on the environment. As part of its target of utilising at least 10 percent of its energy requirement from renewable sources, the Indian Railways has plans of setting up 1000 MW solar power plant and 200 MW wind power plants, across production plants and zonal railways, by 2020. 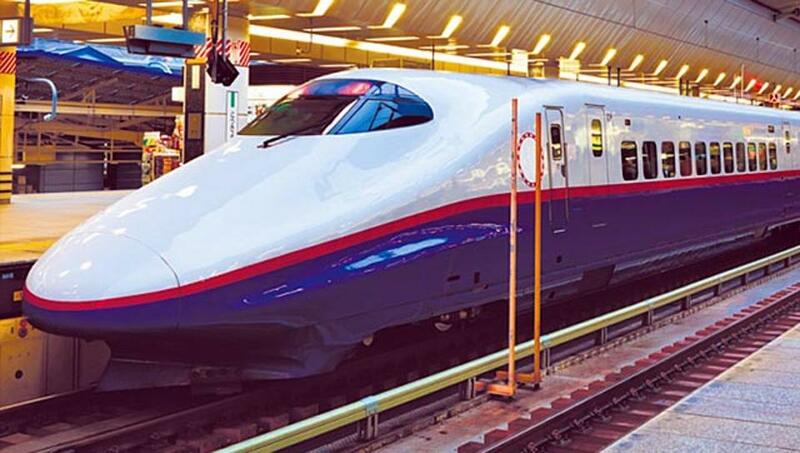 High speed freight locomotives: The Indian Railways is set to manufacture freight locomotives which will run at twice the speed of the current ones. In the first major Foreign Direct Investment move by the Railways, 800 such freight trains will be manufactured over the next 11 years, in a joint venture with French giant Alstom.